Welcome to the LGBTQIA Library Guide! Who is this guide for? You! 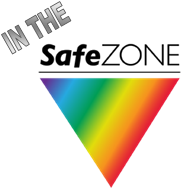 Whether you're a part of the LGBTQIA community, a SafeZone member, or just doing research on relevant topics, this guide will walk you through some of the resources available to you at Cincinnati State (& beyond). Just use the green tabs at the top of this guide to navigate your way through some select available resources. Please note: you have access to a LOT more resources than are listed here. If you don't find what you need, please ask a librarian for help. You can stop in at the library, call us at 513.569.1606, or chat with us via our Instant Message Popout . Your privacy is important to us & we will not disclose what you look for, or what you check out from us.